First a confession. I don't consider myself a fanboy of any game franchise. But if I were to make that crazy leap into the realm of dogma, obsession and blind allegiance, my heart would belong to Zelda. No other game series has so consistently charmed and delighted me over the years. Metal Gear is cool. Mario is a blast. Half-Life is a thrill. 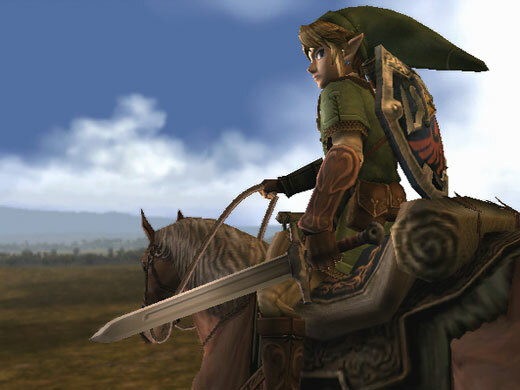 But for me, nothing quite matches The Legend of Zelda for pure gaming bliss. One more self-indulgent blog-confession: if I were a fanboy of a single filmmaker (perhaps devotee would be a more appropriate term) my heart would belong to John Ford. No director can match the breadth and depth of vision evident in Ford's body of work. Ozu stirs me. Woody Allen delights me. Bergman enlightens me. But no one penetrates my consciousness so powerfully as Ford in at least a dozen of his films. This is all going to connect, I promise. I've been tracking the critical reception to the The Legend of Zelda: Phantom Hourglass, the first Zelda game designed for the mega-popular Nintendo DS. I don't much like boiling criticism down to numbers, but that's how business is done these days. Both Metacritic and GameRankings show a composite review score of 90 for Phantom Hourglass, with scores ranging as high as a perfect 100 (Gamespy and The Onion) and as low as 79 from the New York Times. 90 is a very good score, but most reviewers have nonetheless expressed disappointment with the game. IGN calls it "more casual than we'd like"; GameTrailers calls it "outright disappointing"; 1UP says it's "too beholden to what's come before it." MTV's Steven Totillo was sufficiently disappointed to claim that Phantom Hourglass may be the last Zelda he ever plays. Common to many of these reviews is a complaint that the game somehow fails to live up to its pedigree. Despite the fact that handheld gamers waited 3 years for it, the first Zelda title for the DS hasn't generated much buzz. Another Zelda game. Ho hum. Not so for me. I adore Phantom Hourglass and the whimsical style it inherits from its forerunner The Wind Waker. The first 5 minutes of the game illustrate the care and stylish approach Nintendo lavished on the title. Niko--the inept pirate who couldn't remember Link's name in WW and called him "swabbie"--proudly recounts the tale of Link's adventures courtesy of a childish paper cutout slideshow (badly timed to music) that he has made. Link becomes so bored that he falls asleep. And so begins another Zelda adventure. The WW backstory has been covered; the setting and tone of the game have been established; and a sleeping Link must be awakened. Yes, the puzzles are easier, and yes the dungeons are smaller. Phantom Hourglass is a portable game designed to be played in shorter sessions, and that suits me fine. Ocarina did what it did; Phantom Hourglass does what it does. The DS appeals to casual gamers, and this Zelda has found a way to balance traditional gameplay with accessibility. This is the first Zelda game my wife wants to play, and that makes me happy. Phantom Hourglass's small splash is a shame, but hardly surprising. It's the 13th Zelda title since the original appeared in 1987 (I'm counting the Oracles of Ages and Seasons as one game). The bloom is off the rose. Critics tend to lose track of artists whose prolific excellence becomes old hat over time. I can think of no better example of this sad phenomenon than John Ford. See? I finally got there. By 1956 John Ford had directed 28 westerns dating back to the silent era. He had won 4 Academy Awards for Best Director (none of them for westerns) and was nearing the end of his long career. Despite the accolades and widely held perception that Ford was America's greatest filmmaker, the release that year of The Searchers was largely met by critics with a collective ho hum. Another Ford western. Another John Wayne horse opera. 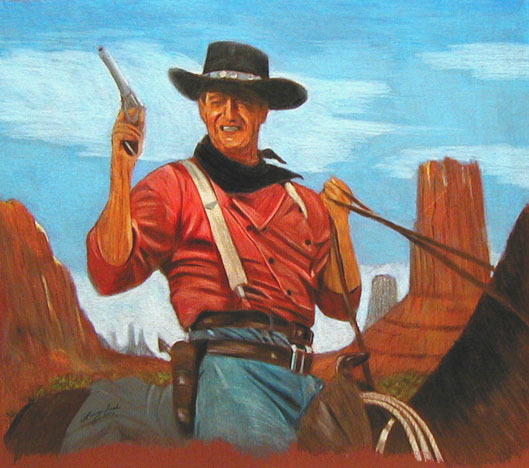 The Searchers received generally favorable reviews and did well at the box office--it was the 10th highest grossing film that year--but it didn't generate much critical excitement and failed to be nominated for even a single Academy Award. Today, The Searchers is hailed as one of the greatest films of all time and perhaps the finest western ever made. How did the critics miss it? And where were the critics in 1962 when Ford made his now-classic western elegy The Man Who Shot Liberty Valance? Variety's original review of that film blames Ford for taking a perfectly good short story and "running it into the ground." To be fair, The Man Who Shot Liberty Valance did receive an Oscar nomination...for Edith Head's costumes. Critics aren't stupid, but they can sometimes be blind. If a young and promising director had made The Searchers (impossible, I know), I believe critics of the day would have seen that film for what it is: a masterpiece of American cinema. Perhaps we can forgive their blind spot. Critics love discovery as much as the rest of us. Where is the news in John Ford making another excellent film? For that matter, where is the news in Nintendo making another excellent Zelda? Games more like films? Let's hope not. No gaming site on the internet is more valuable to me than Gamasutra. 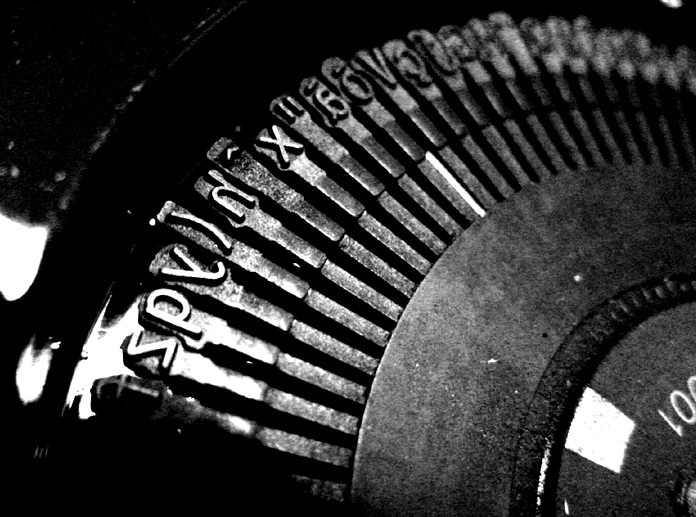 Aside from providing fanboy-free industry news and features, Gamasutra has attracted a stable of talented writers whose penetrating focus on game-design issues is unparalleled by any other site. I like Gamasutra, but I don't always agree with Gamasutra. In Shaping Your Community: What Films Did, Games Must Do, Andy Robertson argues that game developers should cultivate closer ties to their audience, taking a cue from "how films have capitalized on their enthusiasts and wider public following." As examples he sites Peter Jackson's blog-style interaction with fans during the pre-production phase of The Lord of the Rings; as well as the Firefly fan support that made it possible for creator Josh Whedon to make a feature film (Serenity) out of a canceled TV series. ...the film industry is now painfully aware of the need to enable audiences to have a sense of ownership of the entertainment they buy. There is no better way to establish buyer loyalty, or in fact to deliver a compelling experience, than to share the film's development and production process with the consumer. Certainly, such a system can work well. Valve's creative process has been fueled not only by listening to users, but also hiring them. 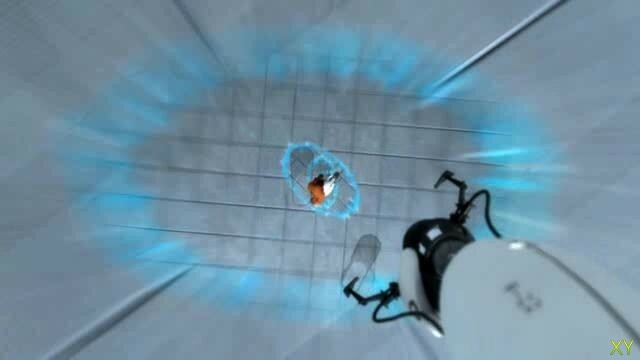 Portal and Team Fortress 2 both owe their existence to modders and student designers inspired by Valve's games and tools and later hired by the company. But not all creative teams work this way, nor should we insist they do. Many developers are notoriously secretive about their work, and a great amount of community building occurs as enthusiasts of the next Castlevania or Metal Gear game speculate on what's to come. Designers like Kojima and Igarashi play on this fan anticipation, doling out bits of information, and teasing with trailers that may or may not contain actual game content. Does such an approach diminish loyalty in a franchise or enhance it? Blizzard takes secretiveness to another level when it interviews prospective employees without revealing the game the interviewee may be hired to work on. I suggest turning Robertson's suggestion upside-down. 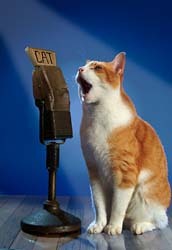 I want to see film studios 'zip it' more and chatter less. It's nearly impossible these days to see a film with no prior knowledge of key plot points or story arc. Advertising has so completely penetrated every aspect of my existence, the last thing I want to do is socially network with a studio that's leveraging my "ownership" of the project as just another mechanism designed to ensure their movie opens big. The best way to deliver a compelling experience is to create a compelling experience. "Buyer loyalty" may help explain the phenomenal box office success of Jackson's Lord of the Rings, but what if those films had dwelled a bit less on fan-friendly CGI-driven battles and a bit more on developing who all these people are? Did fan access to Josh Whedon make Serenity a good film? I don't think Robertson is suggesting this, but I worry when the accountants tell the artists how to make their work accessible or relevant or popular. We need more games that don't look like what we already know. Where are the focus groups or fan clubs for those games? Sharing the production process with what Robertson calls "the consumer" may not be a bad idea per se, but we should be under no illusions about the games this system will produce. More Halos (and perhaps better Halos) but fewer Shadow of the Colossi or Darwinias. 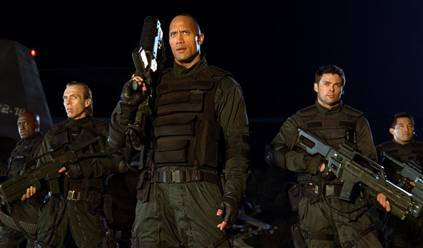 And, yes, video games will more closely resemble Hollywood. Is that really what we want? Libraries ain't what they used to be...and that's a very good thing. At the college where I teach, our new librarian willingly gave up his own office (it was actually his idea) to create more community space for events like gamer nights, coffee-house style discussion groups, and trading card sessions. This trend is clearly spreading, and more librarians than ever are thinking hard about gaming and other new media and their impact on teaching, learning, and the acquisition and distribution of knowledge and information. One such librarian is Jenny Levine, whose blog The Shifted Librarian can be counted on to track the ever-changing ways libraries are responding to the cascade of change brought on by all forms of electronic media (thanks to GameSetWatch for the heads-up on Jenny). She has spoken throughout the country on technology and libraries, and she's the author of Gaming and Libraries: Intersection of Services, in volume 42 of Library Technology Reports. This week she will present a session on gaming at the Internet Librarian Conference in Monterey CA. Notably, that conference concludes with a keynote address entitled "Gaming, Learning, & the Information World" delivered by Elizabeth Lane Lawley, Director of the Rochester Institute of Technology Lab for Social Computing. So yes, these librarians are serious about games. And they're not the only ones. This past July the American Library Association and the Association of College & Research Libraries held the first annual Gaming, Learning, and Libraries Symposium in Chicago. You can view the program and click to see each section, including handouts and slides. Many of the sessions were recorded, and these can be downloaded in mp3 format. I suppose I shouldn't be surprised that a group of librarians would leave behind such a well-organized and easily accessible archive of its activities. As a gamer who is also a teacher, I'm grateful for their effort. Library Success is a best practices wiki designed to encourage librarians to share their experiences and success stories. 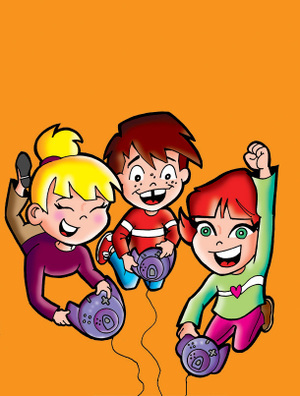 The Gaming section of the blog contains many helpful resources including books, journal articles and tips, as well as listings of libraries hosting gaming programs, libraries that circulate games, and libraries that help develop games. Game On: Games in Libraries is a blog devoted to keeping librarians up to date on gaming related news and information. It is a supplement to the Google LibGaming listserv, a forum for discussion of gaming in libraries. And, of course, there's the Library of Congress. Many sites have reported on the collaboration underway between the LoC and several major universities to preserve the rich history of video games. My favorite is a terrific feature written by Mark Wilson for Kotaku that includes comments from several people at the center of this vital effort. Hey, gamer, when was the last time you hugged a librarian? Those of us who remember Next Generation Magazine fondly--I especially miss Chris Crawford's "The Way Games Ought To Be" column--can take a bit of consolation from the continuing excellence of its sister UK publication Edge Magazine and from Next Generation's online resurrection as Next-Gen.biz. Two apparently unrelated pieces appeared on that site today that got me thinking about the future of MMOs and what the post-WOW MMO universe will look like. Literally. In his Game Design column, James Portnow discusses the concept of the "Uncanny Valley," based on Japanese roboticist Masahiro Mori's hypothesis that the more robots are made to resemble humans, the more likely we are to feel comfortable with them...up to a certain point. When they become near-lifelike, but with small imperfections, we tend to become increasingly uncomfortable. As Portnow puts it, "if something is clearly not human but has human qualities, we find those qualities endearing, but if that something becomes an imperfect simulacrum we find it disquieting and revolting. The other Next-Gen piece that caught my eye was the surprise announcement--still unconfirmed by Nintendo but due to appear in next month's Edge Magazine--that the Wii version of Animal Crossing will be an MMO/social networking title. You'll still be mixing it up with anthropomorphic critters like Blathers the owl and Bianca the cat, but now your Happy Room Academy judges may just be real-life interior decorators. Am I excited for this game? You bet!! I love Animal Crossing and so does my wife. But why? And why is it that Second Life gets my attention, but has never once excited me? Mostly it's because I have no interest whatsoever in creating a lifelike avatar of myself, or even my idealized self. Why would I want to do that? Much of the fun to be derived from Animal Crossing comes from making a willing leap into its imaginary and stylized world. The game rewards me for this leap in a variety of ways, such as letting me create my own designs that fit within the visual framework of the game and share them with others. The world of Animal Crossing makes sense on its own terms, making no concessions to questions like, "Why am I the only one collecting fish for the museum?" Let’s look at some characters: Mario (human caricature), Master Chief (devoid of facial features and expressions) and Final Fantasy characters (stylized humans). These are some of the most recognizable characters in gaming today, yet none of them are photorealistic. In fact, if you make a quick mental list of videogame characters, say the first ten that come to mind…how many of them are photorealistic humans? When a character is clearly not human their human characteristics stand out. Mario becomes more cute and funny, Master Chief becomes more stalwart and heroic, Final Fantasy characters become more earnest and expressive, because those are their most human characteristics. You can now get to Second Life from Facebook, and you will soon play casual games on MySpace. There is a social network for your virtual relationships. You have a friend list and a leaderboard on your video game console, the same way you do on both a social network or a casual gaming portal. MMOs can learn things from social networks, which can learn things from virtual worlds, which can learn things from single-player console games. What's interesting to me about these various projects is the way they have positioned themselves on opposite ends of the visual representation spectrum. 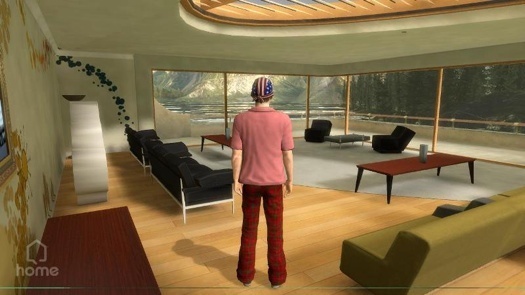 Sony's unveiling of Playstation Home at this year's GDC showed a positively Kubrick-esque depiction of a city with extremely lifelike citizens, buildings, etc. and the ability to import real-world photos as art in the player's realistic apartment. Linden Lab will acquire WindLight®, an advanced atmospheric rendering technology; Nimble™, a realistic 3D cloud simulator; and associated intellectual property and interests. Following this acquisition, Linden Lab will open source Windward Mark's leading graphics technology and integrate it into the Second Life Viewer software, bringing striking visual realism to Second Life. Habbo Hotel and MapleStory, on the other hand, have chosen cartoon-inspired design styles closer artistically to Animal Crossing. 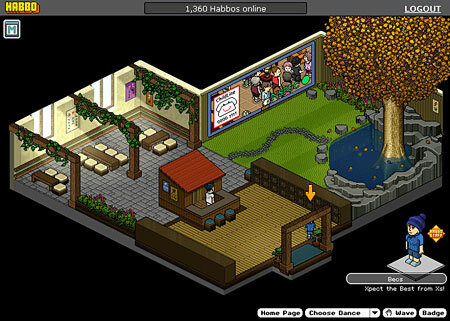 I realize all of this is terribly subjective, but I find myself far more drawn to Habbo's colorful zen garden than to Second Life's virtual depiction of a mall. I think the most useful material I've read on the psychological appeal of abstracted characters comes from Scott McCloud's Understanding Comics. He devotes an extremely accessible and insightful chapter to the idea of "identification through simplification." His examples range from Maus to manga, but the ideas are applicable regardless of medium. 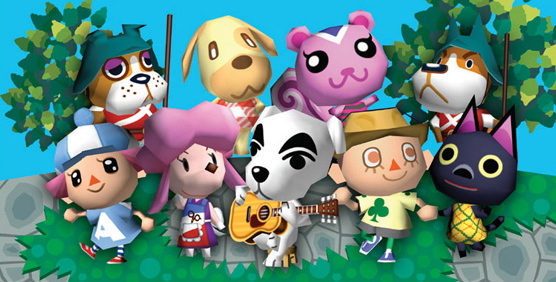 Animal Crossing goes nowhere near Uncanny Valley, and I'm happy for that. Let's hope Edge Magazine is right and that we'll be playing the next version of Nintendo's quirky "communication game" online. If so, meet me in front of Tom Nook's store at midnight, and I'll give you some fruit. ...and you're a Mac user (okay, now I'm down to the last handful of you still reading), I have good news for you. Before I go on, I'll ask you to overlook the "Now how much would you pay?...but wait, there's more!" nature of this post. I have no stake whatsoever in this product, and I have never endorsed any software on this blog...aside from subliminal promotion of the Linux operating system. Ubuntu. Ubuntu. (from Gamepedia's website) You just started playing a new game and already found three different walk-throughs, a great cheat page and some awesome screenshots. How are you going to keep track of all these sites? Link them to your entry in Gamepedia. Just drag any URL into the Links tab of the Edit window and it'll automatically become part of the entry. Or write the URL directly into the field provided. Then when you want to get back to a site at a later point, click the View button and pronto - the site loads straight into Gamepedia's info view. Gamepedia is made and supported by a 2-person development team that politely and promptly responds to email support questions. You can download a fully functional version of the application for free. If you decide to buy it, it'll cost you $18. 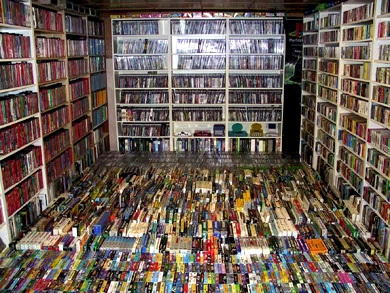 For serious gamers with sizable game collections, this application is like gravy on a biscuit. Good stuff. I'm unaware of comparable applications for Windows or Linux, so if you know of any, please post a comment and I'll be sure to update my post to include them. "Dr. Gamepadlove: Or How I Learned to Stop Worrying and Love My Console"; Nolan Bushnell makes me cry; Listener questions; and news from the blog - all in this edition of the Brainy Gamer Podcast. Subscribe to the podcast via iTunes by clicking here. My friend Gabriel tipped me off today to an interview with Nolan Bushnell in Electronic Design. The story has since been picked up here and here, among other places. In case the name doesn't ring a bell, Nolan Bushnell founded Atari and is one of the pioneers of the video game industry. Video games today are a race to the bottom. They are pure, unadulterated trash and I'm sad for that...We used to have families sit down and play a game together. A lot of video games today are very isolated. You don't see mom and dad, sister and brother, sitting down like they used to play, say, Monopoly. Bushnell's remarks sadden me. Not because Bushnell is so clearly out of touch with the range and diversity of the today's video games. Not because he casually dismisses the good work of so many hard-working designers. Not because he's biting the hand that fed him...and yes, I know he's still bitter about Warner forcing him out at Atari in '78. 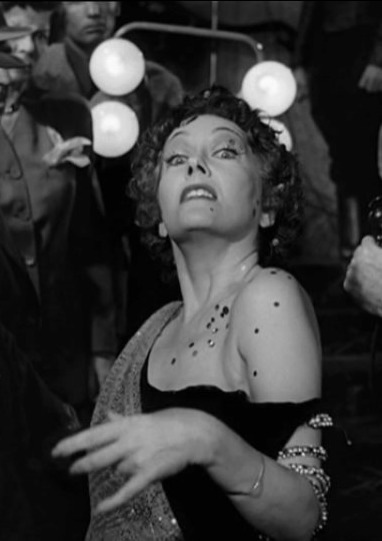 No, Bushnell makes me sad like Norma Desmond makes me sad. Bushnell's vainglorious rant ("I interpreted technology for the masses") coupled with a desperate clinging to an exalted past seem eerily familiar. They make me realize we've reached a certain sad but inevitable point in the history of a medium: the point at which the aging faded star says something memorable like, "I *am* big. It's the *pictures* that got small." I mean no disrespect to Bushnell or his accomplishments. I was one of those kids who saved up his paper route money to buy the home version of Pong at Sears in 1976. Nolan Bushnell made me a gamer, and I'll always be grateful to him for that. But c'mon, Mr. Bushnell, why'd you have to say that? Max: "She was the greatest of them all. You wouldn't know, you're too young. In one week she received 17,000 fan letters. Men bribed her hairdresser to get a lock of her hair. There was a maharajah who came all the way from India to beg one of her silk stockings. Later he strangled himself with it!" You can read the full interview with Nolan Bushnell here. It seems everybody wants to understand the impact of video games on human behavior, especially on young people. This should come as no surprise to anyone with a sense of history--in the 20th century alone, fears for America's youth were raised over novels, dancing, billiards, comic books, rock and roll, movies and television. The problem is, a lot of groups have dogs in this fight, including game developers and players, religious organizations, politicians, and crusading attorneys. In the end, it seems unlikely we'll discover video games make us smart, happy, and productive; nor is it likely we'll find they make us stupid, anti-social, and violent. Like most things, video games defy binary definitions of good or evil. A recent study conducted at Syracuse University seems to bear this out. Dr. Joshua Smyth, associate professor of psychology in The College of Arts and Sciences conducted a randomized trial study of college students contrasting the effects of playing MMORPGs with more traditional single-player or arcade-style games. "The most striking result of this study is that playing online multiplayer games had much greater positive and negative effects on people than playing traditional single-player video games," said Smyth. Such studies won't settle the "what to do about video games" debate...and that's a good thing. Instead, they may help move the discussion away from entrenched polemics and toward something that looks more like a reasonable conversation. Update: My friend Chris over at The Artful Gamer has written a response to this article and an analysis of Smyth's research. For a different take on this issue from a psychologist's perspective, I encourage you to read it here. 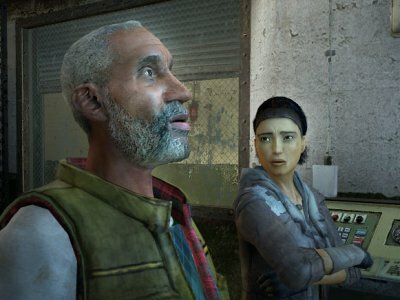 Revisiting Half-Life 2 this week has reminded me of the powerful impact dynamic game design can have on a player's experience. Even three years after its release, Valve's near-total integration of narrative, character development, and gameplay elements remain unrivaled, in my view. To be sure, Bioshock deserves every bit of the love it's received--and its design debt to the Half-Life series is unmistakable--but stylish as it is, it simply didn't hook me into the characters as deeply as Half-Life 2. It's a bit ironic in a way, given Bioshock designer Ken Levine's notion that "Empathy for the characters is something first person shooters need. People get that when the Little Sister is a little girl. And making people 'get it' is the first step." I think I 'got it,' and I enjoyed the way Bioshock played with my emotions regarding the Little Sisters, but it all felt a bit manipulative. Placing an apparently innocent child in a macabre setting is nothing new for video games or films, and I think many of us have become at least a bit inured to that little conceit. Beyond conveying an image of a girl in danger, Bioshock doesn't follow through on developing a depth of character necessary to sustain an empathetic response. Half-Life 2 constructs its empathic framework slowly through the course of the game, and it's often the little things that matter. Case in point: the introduction of the gravity gun. In most games prior to Half-Life, when players receive skills, power-ups, weapons, etc., everything stops and the omniscient designer steps in to teach you how to use what you just got. This happens in a variety of ways, including on-screen text, voiceover instructions, exiting to an inventory screen, or the classic old-school RTFM! And it's the "presented with style" part that makes all the difference. So here's the situation: Gordon gets the gravity gun and must learn to use it. The question for Valve was how to do this in a way more interesting than opening a box and adding it to your inventory. Their brilliant solution was to integrate it into the narrative while adding backstory, character dimension, narrative depth, and fun experimentation for the player...all while learning how to use the new weapon. After an adventurous airboat sequence with lots of action, racing, and shooting (the gaming trifecta), Gordon arrives at Eli's lab in Black Mesa East. A timely change of pace and tone allow the player to catch his/her breath and reorient. Gordon meets Dr. Judith Mossman, who simply won't stop talking technical gibberish. When Alyx reappears, it feels so good to see her. For one thing, she's the perfect antidote to Mossman, but more importantly, Gordon and she were accidentally separated earlier in the game (something the designers love to do with Alyx), and the arduous journey is really all about finding your way back to her. Alyx immediately begins disparaging Mossman as an over-intellectual dilettante, which once again reinforces our positive impression of Alyx since those were exactly the thoughts Mossman provoked in us. Alyx leads us to the testing area where she introduces Gordon to the gravity gun. Since Alyx has already been established as a clever engineer/tinkerer/dare-devil, it makes perfect sense that she wants Gordon to play with the gun. She delights in the process of inventing little challenges. The tutorial is well underway, but the game fully integrates this interaction with Alyx as a natural progression of their growing relationship. She's showing off a bit of her knowledge and playing with Gordon in a free-spirited way. If you haven't already fallen a bit in love with Alyx by now, you possess a very hard heart indeed. Of course, the game narrative will continue to leverage this playful bond...and Gordon will very soon become separated from Alyx again. "Dog, come! (Dog runs enthusiastically to Alyx and lowers his head) Good doggie! Gordon, this is Dog. My dad built him to protect me when I was a kid. First model was about yay-high. I've been adding to him ever since. Haven't I, boy? (She pets him affectionately on the head) Okay, Dog, let's play catch with Gordon." Consider how much information is imparted via this simple exchange. We see Alyx's soft and affectionate personality emerge. We see evidence of her remarkable engineering skills (she is certainly her father's daughter). We discover a bit more about Alyx's past, growing up surrounded by danger, learning to protect herself. We see further evidence of the lengths to which her father has gone to protect her and provide her with companionship. We also learn how to use the gravity gun. See how they did that? Alyx Vance is one of the most interesting and indelible characters in the history of video games. If you want to know what empathy in video games looks like, you need go no further than her. If you somehow missed Half-Life 2 the first time around, now is your chance. The Orange Box version looks and plays better than ever. I try to avoid making posts that only function as links to other posts, but this one is too saucy to pass up...especially given my recent "Girls play games" essay. If you haven't played Portal, be aware that this story contains spoilers. For what it's worth, "reading into" games in this way is an entirely legitimate and, in this case, captivating process, regardless of whether we all see the same things when we look. In fact, it's better when we don't. But what about the designer's intentions? Interesting, but no more authoritative than anyone else's point of view. Once a game/novel/song/film is out there, no one can claim full ownership of it ever again. Just my 2 cents, prompted by the mini-backlash such interpretations inevitably provoke, as the discussion here amply illustrates. Episode 4 of the Brainy Gamer podcast will be up this weekend. If you have a question or issue you'd like me to include, email me at brainygamer@gmail.com. Better yet, send me an mp3 file and I'll put you on the air. If there's one gaming blog that's hitting on all cylinders right now, that would be Rock, Paper, Shotgun. These four clever and prolific Brits--Jim Rossignal, Alec Meer, Kieron Gillen, and John Walker--are consistently writing some of the most useful and thought-provoking essays you'll find anywhere. After reading the full article here, I recommend subscribing to Rock, Paper, Shotgun here.